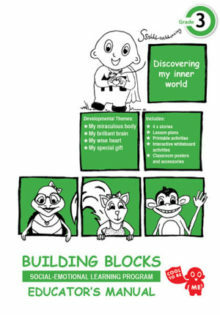 Developmental themes: My miraculous body, My brilliant brain, My wise heart, My special gift. 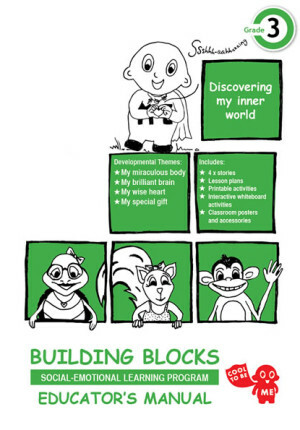 Can be used as content for the following CAPS Gr 3 Life Skills topics: About me; Feelings; Health protection; Keeping my body safe; Healthy eating; Rights and responsibilities. 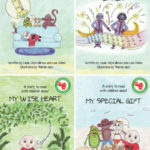 The “Discovering my inner world” storybook series is available for parents or schools to buy as printed books. 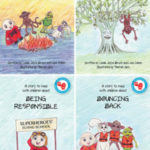 Each individual storybook in the series includes important family chats and games that support the BUILDING BLOCKS (Green) school programme.